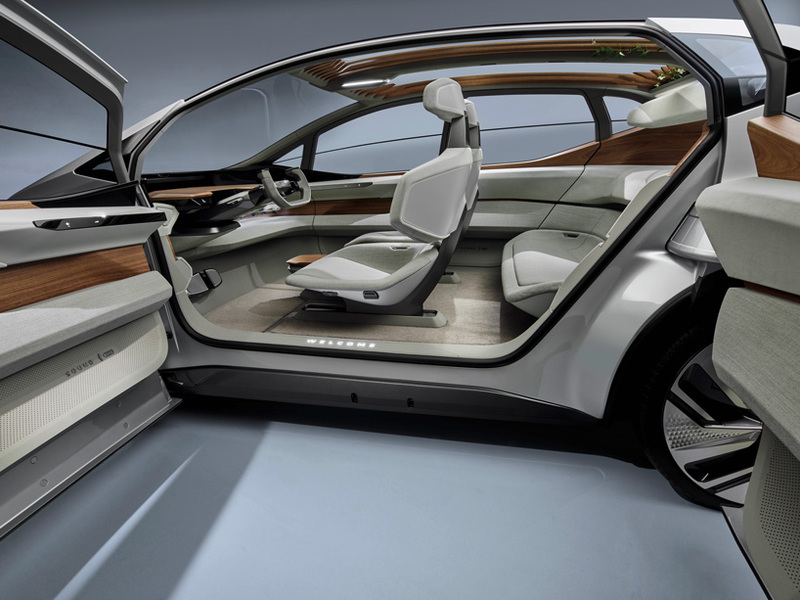 AUDI unveils a new level 4 autonomous concept car aimed at urban driving during auto shanghai 2019. the german automobile manufacturer pushes artificial intelligence in the all-electric AI:ME, whilst complimenting its tech-oriented features with a nature-inspired pergola roof. AUDI wants to use AI to relieve strain on drivers by doing some of the hard work for them using strategies and technologies from the field of artificial intelligence and machine learning. beyond being driverless, the AI:ME can interpret signals from other vehicles and use its own LED lights to communicate with other road users. 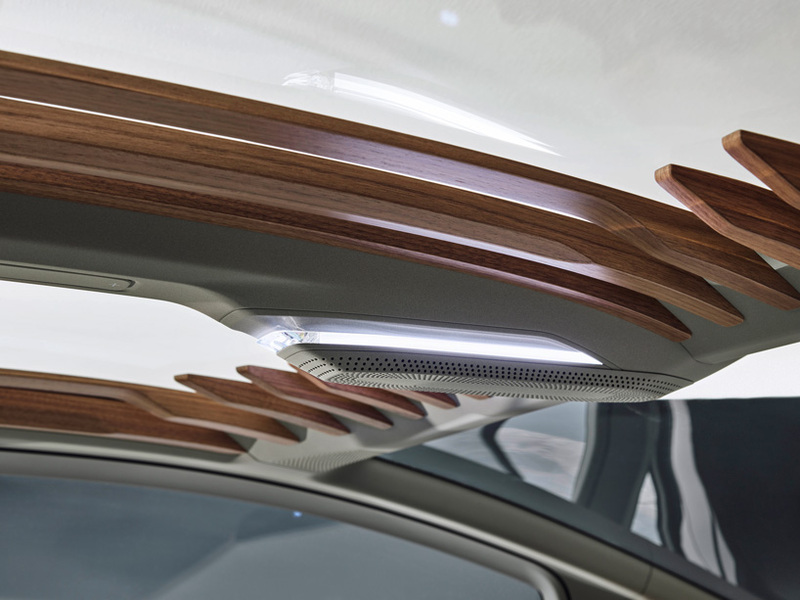 concealed behind a singleframe grille – the LEDs illuminate in different colors and patterns of light to signal how the vehicle will react next. that way, they can use their time spent in the car on other things, like socializing, working, and apparently gardening. on the inside, a traffic-proof interior which filters out unwanted noise is complete with soft textures, wooden accents and a pergola roof where trailing plants can grow freely. a first in the automobile industry, filigree wooden struts in the roof area welcomes the use of real plants to create a feeling of proximity to nature. 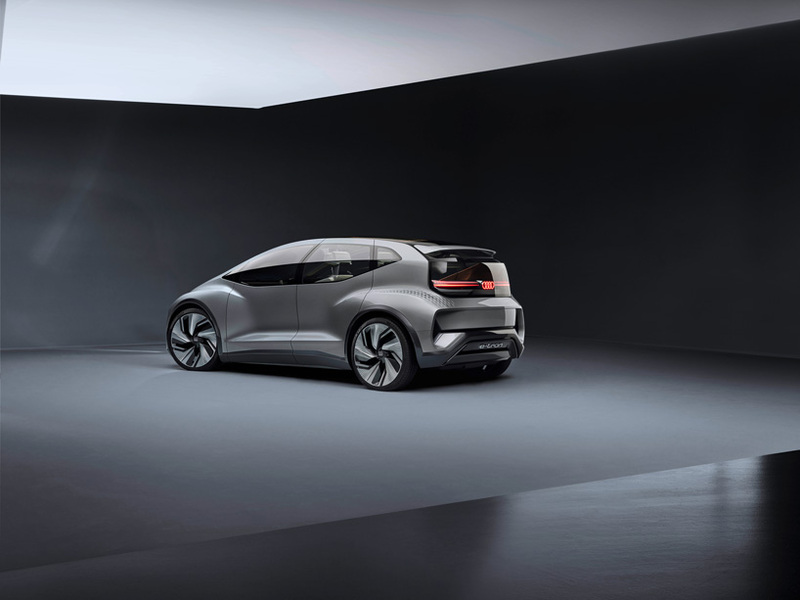 according to AUDI, who references the ‘hostile environment’ of the city, it also helps to improve air quality in the automobile at the same time whilst other sophisticated filter technology prevents traffic odors and city smells from entering. backrests are designed as curved shells with front seats featuring a wide, cushioned seat, upholstered with a grey textile material. when the pedalry is not needed, drivers can rest their feet on the supports under the dashboard, such as on an ottoman. meanwhile, control elements including the steering wheel, instruments, and pedals, are all retracted and almost fully concealed by a stowage compartment made of open-pore walnut wood. while only the individual seats at the front will be used during most journeys, the car offers space for up to four people in the front and on the rear bench if necessary. the AI:ME is a little over 14 feet long and six wide, has 23-inch wheels, and power comes from an electric motor at the rear axle. its other important stats include a 65kWh battery, 168 horsepower, and a range between 20 and 70 km/h (12.4 and 43.5 mph). additional touches that encapsulate the car’s futuristic projections include a 3D OLED monitor that runs below and along the entire length of the windshield, which is both activated and controlled using eye-tracking, and a set of VR goggles for the visual output of an infotainment system.